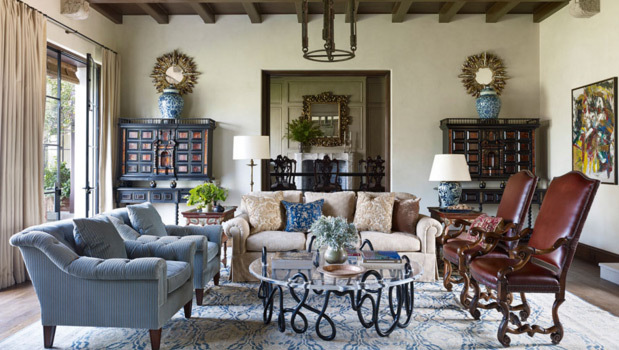 This entry was posted in Montecito and Santa Barbara Local News, Sotheby's Auction House News, Sotheby's Significant Sales Around the World, The Good Life Starts Here... on January 1, 2016 by Harry Kolb. This entry was posted in Buying and Selling Your Home, Major Estate News, Montecito and Santa Barbara Local News, Sotheby's Auction House News, Sotheby's International Realty News and tagged Decorating, Michael Smith on December 9, 2015 by Harry Kolb. This entry was posted in Sotheby's Auction House News on October 14, 2015 by Harry Kolb. It is our pleasure to introduce you to ART & HOME, the magazine jointly published by Sotheby’s and Sotheby’s International Realty. This literary collaboration showcases all the elements of an extraordinary life. Now availalbe in print, online, or on your iPad or Android tablet, it presents sophisticated content and beautiful images related to the art and real estate worlds. This entry was posted in Sotheby's Auction House News, Sotheby's International Realty News and tagged Sotheby's Art & Home Magazine, Sotheby's Art Auction, sotheby's at auction on April 21, 2015 by Harry Kolb. Highlights from this week’s top news stories on luxury real estate, home, art, collectibles, Sotheby’s auction house, jets & yachts, sports & luxury cars, and lifestyle & travel news from around the world. This entry was posted in Major Estate News, Real Estate Market Trends, Sotheby's Auction House News and tagged Luxury Real Estate Headlines, major estates in the united states, most expensive homes in america on January 2, 2014 by Harry Kolb.